What a tragedy that this young man, Michael Brown, was killed here in the St. Louis area on Saturday. Really sad and troubling. And before all the coverage shifts to the disturbances last night that emerged in the aftermath, let’s do acknowledge the activities of the grassroots. The black grassroots. 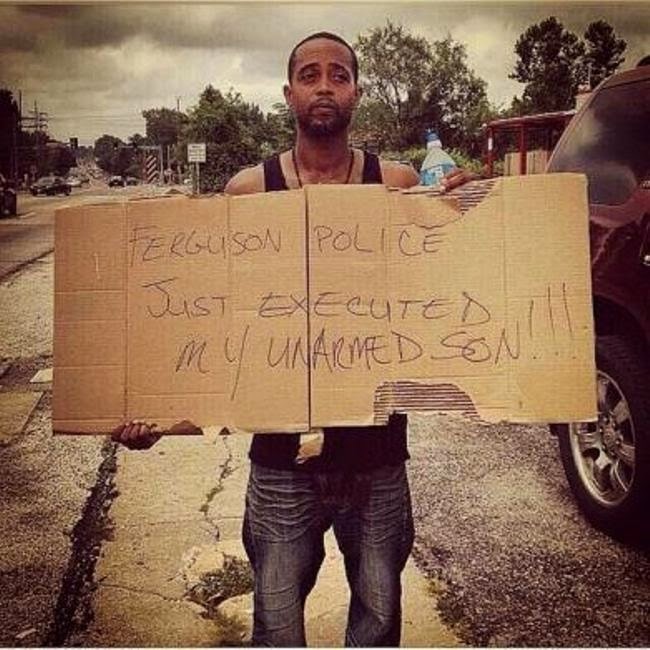 When Brown was killed, the grassroots were there almost immediately in the streets shocked, unsettled, crying, documenting (photographs), connecting the dots of long-running problems, asking questions: “why?” and “why does this keep happening to our boys?” And then, they started writing signs asking those questions. And then finally…after much of that, there was an emergence of so-called “anger.” You can only push black folks so far, you know that right? I’m just pausing to say again that in the beginning it was the grassroots out in the streets as our first responders. Not academics. Not poets and artists. Not preachers. Not middle-class African Americans. Not “leaders.” Not white “allies” and white liberals. Shade but no shade to them and us. I’m just saying at some point we have to honor the grassroots for the positive, cutting edge work they did to make us even aware of the murder of Mike Brown in the first place.